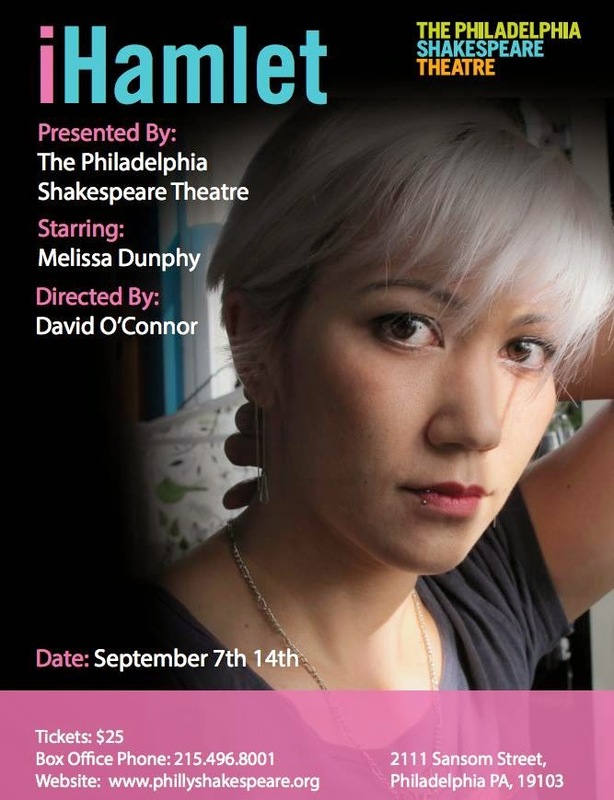 In a little under a week, I'll officially be treading the boards again as a Shakespearean actor, but with a twist: I'll be performing in South African playwright Robin Malan's one-person adaptation of Hamlet, quirkily renamed iHamlet, in the Philadelphia Fringe Festival. So much for a certain public radio host's (quickly backpedaled) tweet a month ago about Shakespeare being "not relatable, unemotional." It's the extreme relatability of Hamlet that made putting together this work so easy, even though it's easily the most challenging role I've ever undertaken. Also sweeping my way: the clarity, creativity, and personability of director David O'Connor, who was so easy to work with, I hardly want to call it work. Purchase tickets at this link, and you'll be able to use discount code "HAMLET" for buy-one-get-one-free tickets (or "HAMLETJR" for student tickets). All shows are at the Philadelphia Shakespeare Theater, 2111 Sansom Street, and you'll be out the door again in about 90 minutes, with enough time to spare to come say hello to me after the show.